The Tiffany Collection is finally here! Are you ready for the SWEETEST day ever? Make sure you got the right flowers to SURPRISE your loved ones this coming Valentine’s Day! We present to you our newest blue line… Anna York’s #ValentinesAtTiffanys! Inspired by the iconic and classy lady, Audrey Hepburn and her famous movie, Breakfast at Tiffany’s, we have conceptualized and styled three sophisticated flower arrangements for you to enjoy! This is a LIMITED EDITION offered to you by Anna York. We believe that you’d love to gift your loved ones something sophisticated yet something that would still remain classy and fabulous through time. Well, now you have it. 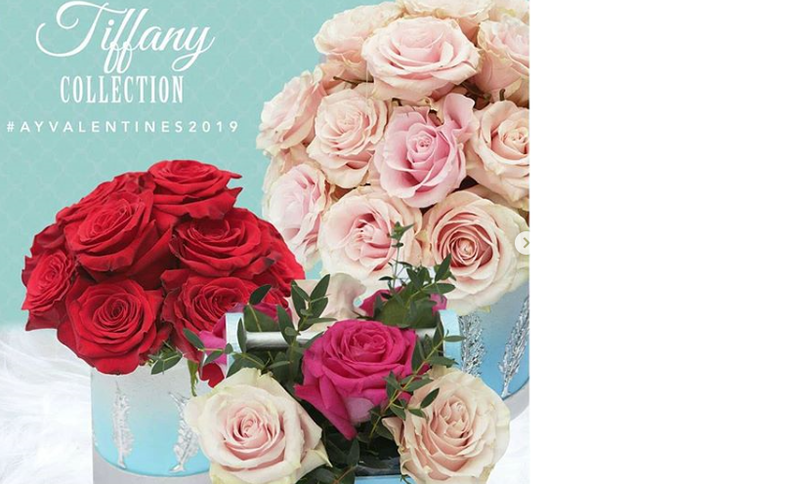 RESERVE your luxury roses today by calling Ms. Regina, your very own friendly cupid at 0995 740 3107 or browse for more options at www.annayorkflowers.com. Worried you’re far from these cities/provinces? Don’t worry, because WE DELIVER NATIONWIDE. We present to you… “CLASSY AUDREY!” This concept was specifically designed not just to impress a woman, but to let your woman KNOW and FEEL how deeply loved she is. 💙 . . . This is the perfect surprise for her this #Vday… for the roses aren’t only beautiful, but they are remarkable and memorable in many ways. And the box? It's Tiffany blue of course! Do call us at 0995 740 3107 or head over to www.annayorkflowers.com. Pre-order starts now! 😎💗 #AYValentines2019. Don’t you just love our newest #Tiffany blue line? “LITTLE AUDREY” is a cute and sweet concept made for your beautiful daughter to show your love for your little one this coming #Vday. 💗 #AYValentines2019 . . . Make your daughter happy with Ecuadorian roses from #AnnaYork! Call Ms. Reg today at 0995 740 3107 or visit us at www.annayorkflowers.com. Our pick-up locations: (Manila, Quezon City, Mandaluyong, Pampanga and Cebu). Our #ValentinesAtTiffanys blue line is a LIMITED EDITION offer to you by #AnnaYork. We believe that you’d love to gift your loved ones something sophisticated yet something that would still remain classy and fabulous through time. Well, now you have it. 💙 . . Get “Little Audrey” for your daughter or niece, “Sassy Audrey” for your girlfriend/bae, or “Classy Audrey” for your wifey! #AYValentines2019 . 💞 . . . Make her heart pound with #love this #Vday with Ecuadorian roses! Call Ms. Reg today at 09957403107 or visit us at www.annayorkflowers.com. Our pick-up locations: (Metro Manila, Pampanga and Cebu).